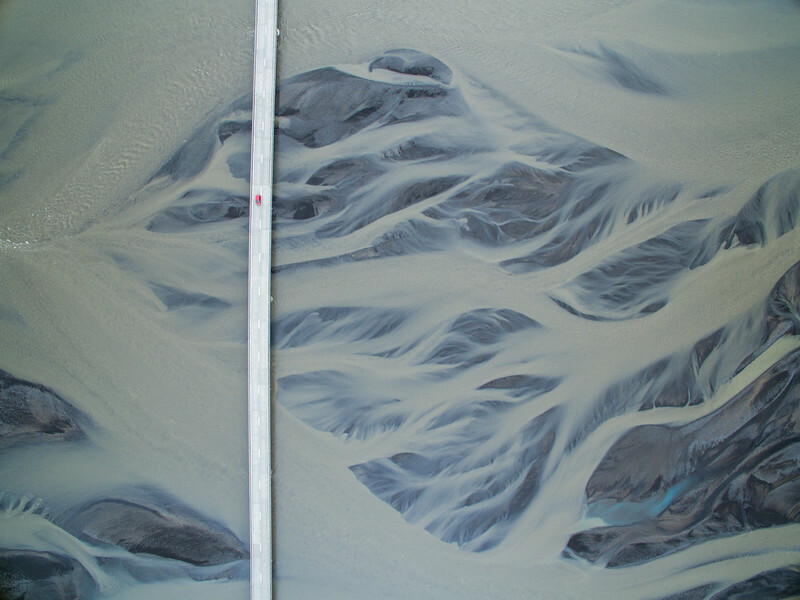 Aerial view of Glacial river in Iceland. While crossing the bridge, I noticed some pattern in the water and wondered how it would look from the sky. I stopped the car on a turnout after crossing the bridge and flew my drone to capture this image. I included the bridge and the car to give an idea of the scale. This river flows to the ocean and becomes part of the sea.